Besant Technologies Provides AWS Training in Chennai. We train students from basic to advanced concepts, within a real-time project. Learn how to use Amazon Web Services® from beginner level to advanced techniques which are taught by experienced working professionals. With our Amazon Web Services Training in Chennai, you’ll learn concepts in expert level with practical manner. We offer professional Best AWS Training in Chennai with 10+ Years Experienced Expert Level Professionals. We Create Excellence With Some Eminent Experts. According to the Student’s Timings we have kept the AWS course in Chennai duration as flexible. Besant Technologies Provides AWS Training in online, classroom, fast-track & one-to-one classroom training is provided during weekdays and weekends at flexible timings. Besant Technologies have modern lab facilities with the latest technologies to help students avail a successful AWS Training in Chennai and Certification from us. What are the objective of our AWS Certified Solutions Architect Certification Training? Crack the AWS Certified Solutions Architect – Associate Level and Professional Level Exams with Ease. Why should you go for the AWS Certified Solutions Architect Certification Training? Guaranteed future Career Prospects as more and more Companies Opting for Cloud Computing. Which Software course is best to get High Pay? Who should go for the AWS Certified Solutions Architect Certification Training? What are the prerequisites for AWS Certified Solutions Architect Certification Training? What Skills will you learn in AWS Certified Solutions Architect Certification Training? There are nine AWS Certifications recommended based on the roles and the expertise of the professional. All these AWS certifications help the professionals to get a better position and advancement in their career. A Foundational certification for cloud practitioners with at least six months of experience. Three Associate-level certifications meant for professionals with one or more years of experience looking to demonstrate and validate their knowledge about the cloud services (AWS Certified Developer – Associate, AWS Certified SysOps Administrator – Associate, AWS Certified Solutions Architect – Associate). Two Professional certifications for professionals with two or more years of experience (AWS Certified Solutions Architect – Professional, AWS Certified DevOps Engineer – Professional, AWS Certified DevOps Engineer – Professional). Get enrolled for the most demanding skill in the world. AWS Training in Chennai will make your career a new height. We at Besant technologies provide you with an excellent platform to learn and explore the subject from industry experts. We help students to dream high and achieve it. Besant Technologies provides flexible timings to all our students. Here are the AWS Training Classes in Chennai Schedule in our branches. If this schedule doesn’t match please let us know. We will try to arrange appropriate timings based on your flexible timings. If you are the look-out for the Best AWS Training in Chennai to sharpen your skills then make the right choice by joining Besant Technologies. We provide Hands-on practical training provided by 10+ Experienced Amazon Web Services Trainers equips with live projects and simulations. Practical section of AWS training in Chennai will help our students to secure jobs in top MNC Companies. The trainers at Besant Technologies are a subject specialist and Industry professionals providing in-depth study in AWS course in Chennai. Students completing the AWS certification in Chennai have huge job opportunities in the industry. Are You Looking for Best AWS Training in Chennai with Certification? For More Details Call us at +91- 996 252 8293 or walk into our AWS Training Center in Chennai – Velachery, Tambaram, OMR, Anna Nagar, T.Nagar, Porur, Thiruvanmiyur, Siruseri, and Maraimalai Nagar Branches. Don’t miss the immense opportunities in AWS certifications offers you. Get enroll for this AWS Training in Chennai from industry experts in real time projects. Amazon Web Services (AWS) is introduced in 2006 to provide IT infrastructure services to organizations in the form of web services. Amazon Web Services are commenced by the Amazon.com to provide a comprehensive, secure cloud computing platform and online services for client and websites side applications. It’s also called as remote computing services or cloud computing services. Amazon Web Services is a steadily expanding business unit within amazon.com. It has delivered companies of various sizes with an infrastructure platform in the cloud. Companies of multiple organizations use it for computing power, storage, cloud and other services. For maintaining complete AWS, it requires some curriculum developer, cloud support engineer, software development engineer, etc. AWS Training in Chennai will build confidence in you to crack the interview and grab the job. The candidates with AWS Training in Chennai Certification will stand out in a group, and they offered an excellent package. The average salary AWS engineer is around $85,000 – $166,000, AWS Training in Chennai will help you to achieve your dream. The salary structure differs for the Senior Server Side Engineer, Senior Cloud Engineer, Linux Systems Engineer MySQL, and Cloud Operations Engineer. AWS Certification is a credential or a title awarded to IT professionals who successfully clear the Amazon Web Services’ examinations to upgrade their expertise, knowledge, and skills pertaining to services provided by the public cloud provider. Amazon Web Services is a global cloud platform that helps companies and institutions to host and manage services and applications on the internet. It is currently used by a majority of Fortune 500 companies to host their infrastructures such as servers, platform, and software and storage. Which AWS Certification is the best? Choosing the right value of AWS Certification out of the above nine depends on the goal of each professional. The foundation course tends to test a broad understanding of the cloud services, while the specialty certification tends to get more specific and narrower. The best way to approach AWS certifications is to take the associate level tests, to begin with, followed by the specialty test and lastly the professional test. How many questions are there on AWS exams? The number of questions may vary. The foundation and the specialty test have around 65 questions with a mix of multiple choices and multiple answer method and time limit of 170 minutes. The Professional test can have anywhere between 65-80 questions. The associate level exams have 55-60 questions. What is the passing score of AWS certifications? There is no single passing score. The examiners use a statistical method to arrive at the passing score and are subject to vary. The AWS will score examinees anywhere from 100 to 1000. An effort to get closer to 100% would be ideal. How long is the AWS certification valid?/ Does AWS certification expire? Each AWS certified professional would be required to update their certification and recertify every two years. AWS will send a notification to the practitioners six months before the certification expires. Recertification would help to keep abreast of new features and services released by AWS every year. What is the salary of an AWS certified Developer? According to the job portal Glassdoor, AWS certified developers and engineers in India earn anywhere between 4 lakh-14 lakh per annum. Check the AWS Job Expectations and Reality. How do I study for AWS certifications? 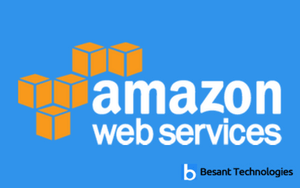 Besant Technologies provides AWS Training in Chennai material for AWS certifications such as training classes and whitepapers written by AWS, technical analysts, and AWS partners. Sample questions and test certification exams can also be found on their website. Similarly, going through external sources of study material and videos on the internet also prove to be helpful. Hands-On experience at the workplace further strengthens the learning process. An AWS certification will certainly help employees advance in their careers and earn credibility as a professional and even lead IT projects that mandates transition to AWS. It may take anywhere between 2 months to a year for clearing all the exams especially if you are professional balancing work and study. If I fail the AWS certification, how soon can i retake it? If a person fails the AWS certification, he or she can retake the exam after 14 days. There is no limit to the number of re-examinations that can be taken. However, beta exams or a new exam released by AWS can be taken only once. AWS Job Opportunities are available in a well-diversified range of expertise. Depending on your interest, current skills, job role, and targeted job role, you can choose a suited AWS Certification through guidance and suggestions from experts. Check Latest Our Job openings of AWS in Chennai. What are the jobs available after AWS Training? An AWS Certification will open the doors for the following jobs. Want to make Career in Cloud? Then Join AWS Training! How much does an AWS Engineer Make? According to the Global Knowledge 2018 IT Skills and Salary Survey, an AWS-certified IT professional can make around $113,000. This is the highest paid certification in the US and Canada. Note that the packages vary with the certification done and the skills and experience of the professional. Understand that AWS is the future of the Cloud and will have a tremendous demand in the coming future across the Globe. The salary ranges of AWS Certified professional depends on the skills, experience and the Certification title. Typically, an Amazon AWS Solution Architect Professional’s salary can be $143,091. The salaries of Solutions Architect at Amazon can range from $121,510 – $162,560. An AWS Certified Developer – Associate professional can have a starting salary of $116,456; while an AWS Certified DevOps Professional can earn around $108,315. AWS Consultants can earn anything in the range of $21,000 and $191,500. On an average, an AWS consultant in the USA can draw a pay of up to $68,500. This can be negligible and based on experience, work for location and company too. Besides, the AWS Certified consultants can also make $75/hour on a limited engagement basis. Check the Best Resources for Learning DevOps. AWS Professionals are in high demand from the top companies almost in every country. The top companies that are looking for skilled and certified AWS professionals include Amazon, CapGemini, Microsoft, Sabre, Informatica, Pearson, Liberty Mutual, Deltek, Mitel, Cisco, Sony, Accenture, Open Text, UHG, MindTree, Netensity, Prokarma, Genesys, Compunnel, TCS, HoneyWell, etc. AWS has wide range of opportunities that can suit any software, sales, system, networking and admin professionals to start their journey with AWS. For example, database admins can map their skills to Amazon’s RDS database and start with AWS. AWS is the great way to increase your company profit. Software developers can dig into AWS by starting with native cloud platform calls and applications such as queues, I/O services, and the management of provisioning and de-provisioning of resources. If you are from any domain, for any further clarification, seek the guidance of training experts and shift your career to AWS. Besant Technologies is the emerging AWS Training in Chennai institute which offers industry demanding courses to the aspirants. We have well-qualified professionals across the globe. We cover the complete syllabus according to industry needs that will be easy for the students to clear the AWS certification tests. AWS is a most demanding skill in the market. Prominent organizations are looking out for the right skilled employees in the organization. If you are interested in grabbing the exciting opportunities in it, get enrolled in this course. We are here to help you out in all possible ways. We don’t regret our students at any point in time. We always strive hard to achieve best from our end and even further, we improve our teaching methods for a better learning experience. We make our students learn from real-time projects which help them to get the knowledge of getting various challenges at the workplace. Our trainers make our students ready to deploy at the workplace. AWS is the top field to start a career in it, it provides a new experience and challenges and offers the opportunity to jump to the next levels with some efforts. When you reach us, we will help in all possible ways that can be beneficial for you to get the job of your choice. AWS training in Chennai with placement assistance is the main feature which rated us five stars in the reviews by our alumni. Reviews and honest feedback is mentioned on our Reviews and Testimonials page. Besant Technologies is one of the best AWS training centers in Chennai delivering out-of-box thinking professionals to the IT industry. Besant Technologies has a modern lab equipped with all latest facilities, Students will have hands-on AWS Training in Chennai through live projects. These type of AWS training in Chennai will boost the confidence level of Students to face the real-time challenges successfully in a job. The AWS Training in Chennai syllabus includes AWS course module on real-time projects along with placement assistance. AWS topics covered are Introduction of AWS, Linux Fundamentals, Installation and Initialization, Cloud Computing, AWS Sysops Administrator, Relational Database Service (RDS), Dynamo DB, Management Tools, AWS Troubleshooting, AWS Architecture and Design, DevOps Fundamentals, & Many more. Check the duration, course content, and syllabus given below. Besant Technologies offers AWS Training in Chennai in more than 9+ branches with 10+ years Experienced Expert level Trainers. Our AWS Trainers are provide complete freedom to the students, to explore the subject and learn based on real-time examples. Our trainers help the candidates in completing their project and even prepare them for interview questions and answers. Candidates are free to ask any questions at any time. Our technical team gives a quick response to the query requested by the student in no time. Companies Hiring Amazon Web Services Developers: Netflix, Expedia, Reddit, Adobe Systems, Pinterest, etc. More than 7+ Years of experience in AWS® Technologies. Trainers have Experienced on multiple real-time AWS projects in their Industries. Besant Technologies conducts Development sessions including Mock Interviews, Presentation skills to prepare students to face a challenging interview situation with ease. Basic Monitoring Tools and Log. Create two EC2 instances with web servers installed in it. Create an application load balancer with listeners and Target groups. Add a resource metric to the dashboard and monitor it. What is AWS Lambda function? What is cloud formation stake? Want to Become Masters in Cloud? Highway to Cloud Pathways Cloud Learning how to get a coach for all passengers today. Learn how to manage, manage and design work and day-to-day services through video classes, regular exams and practical steps. Cloud Designer is designed to make you an expert in cloud and construction instructions. This enables you to manage the basic skills required to design and use as much as possible, opportunities to access and rely on two top companies: Amazon Web Services (AWS) and Microsoft Azure. The program will give you a deeper understanding of day-to-day services, such as AWS cloud training, azure resources, EC2, S3, Route53, VPC, Azure services and more. Get the skills and skills needed to prove architecture, such as the AWS Architect and the Azure Architect. Check Cloud Master Program Syllabus here. Amazon Web Services (AWS) has always been the market leader in the cloud computing platform. To pursue a career in this ever-growing cloud business, you need to have certifications pertaining to AWS that lets you learn and expertise in design, deploy and manage the cloud applications. Currently, AWS is offering nine diverse range of certifications, out of which you shall have to choose the one that is the best fit for your career needs and current skill set. AWS offers different types of certifications that suits the needs of candidates and employers needs separately. This blog gives a comprehensive idea of various certifications for individual candidates offered by AWS. AWS Certified Cloud Practitioner is the basic AWS certification especially designed for entry-level professionals. Who can take this up? Anyone who is a new entrée to the AWS can take this exam. The prerequisites for this exam are a basic understanding of AWS architecture, deployment and operating principles, basic use cases of AWS along with strong knowledge in the fundamentals of AWS. Remember that you need to have at least 6 months of hands-on experience in any role pertaining to AWS if you have to become eligible for this exam. What is the pattern of this exam? This beginner level certification validates your skills as a certified AWS Cloud practitioner and lets you make a solid foundation in moving up in a career in AWS. The exam is of 90-minute duration and cost $100 and is of entirely multiple choice questions based. This certificate is an intermediary level and is designed for those professionals who have a working knowledge of using key AWS services such as AWS databases, services and storage. Who should take this up? An AWS professional who has enough expertise in designing, developing, and maintaining AWS application and a deeper understanding of basic of AWS architecture and core services can take up this exam. Understand that you shall have to know how to write code using AWS software in your business applications. This exam mainly focuses on developing and maintain AWS applications in real time. The exam spans 80 minutes and costs $150. The questions of the exam are both in multiple choice and multiple answer based. This exam focuses on testing the ability of the candidates to design, manage and deploy applications using AWS tools and services. A professional with hands-on experience in designing scalable systems and with strong knowledge in AWS concepts can appear for this exam. As a potential candidate, you should have a solid grasp on deploying hybrid systems using AWS components and on-premise data center concepts. This exam also checks your understanding of data security, disaster management and network technologies of AWS and their troubleshooting. Some changes were made to this exam last February. Since then more focus is being laid on AWS best practices. The exam is of 130 minutes long and is both multiple choice and multiple answer type. Currently, the exam costs $150USD. If you are from a system administrator background, this certification from AWS would be a great boost to your career in cloud services. Any system administrator with previous working experience in Linux or Windows administration can take this exam confidently. If you have enough practical understanding on how data is received between data centers and AWS, and how to select suitable AWS service that meets the company’s needs perfectly and if you can deploy applications to AWS with confidence, you can crack this exam easily. This exam, specifically designed for system admins, tests the candidate’s expertise both theoretically and practically. The exam is 80 minutes long and costs $150. The questions in the exam are both multiple choice and multiple answer type. This exam focuses on the automation of processes and continuous delivery of DevOps. To be eligible to appear for this exam, you should be at first AWS Certified Developer – Associate or AWS Certified SysOps Administrator – Associate certified. Besides, you should have a solid understanding of the agile methodology of developing applications and provisioning and managing AWS based applications. As said, this exam focuses mainly on continuous delivery (CD) of DevOps. Hence it is important to have a solid understanding of the basics of modern methodologies of CD and their implementation. Topics such as setting up and monitoring highly scalable and available systems would also be focused. The exam is of 170 minutes long and costs $300. The questions are both in multiple choice and multiple answer type. If you are aspiring to become a Solutions Architect in the AWS range, this certification is designated for you. To take this test, you should have a prior certification of AWS Certified Solutions Architect – Associate. Besides, you should have at least two years of working experience in deploying applications in AWS. Understand that this certification needs a high level of technical expertise and hence you should be thoroughly strong enough in the architectural principle of AWS and designing and deploying systems in AWS cloud. You should have enough capability to estimate with technical perfection the needs of an organization and make suitable recommendations. The exam tests various strategies for cost optimization, best architectural practices and migrating from any other cloud or on-premise storage to AWS cloud. The exam is 170-minutes-long and costs $300. This is the highest level of certification to any aspiring person with strong knowledge in data analytics and intending to make a career in AWS. A candidate who has strong knowledge in automating data analysis using AWS tools and hands-on experience in using AWS services such as Kinesis and Athena can take up this exam. Besides, as a potential candidate, you should have solid knowledge of designing and maintaining big data and its best security practices. This a certification that tests your skills in networking concepts on the whole including optimization, security practices, architectural principles, and complex networking tasks. A professional who is an expert in implementing network solutions in AWS and comfortable working with hybrid IT networks can crack this exam. The candidate is also expected to have sound experience in security and compliance design and implementation in AWS services. This is the ultimate certification that tests the security best practices and skills at a pro level. The certification mainly focuses on testing the skills of the candidate in data protection and encryption, incident response and cloud infrastructure security, besides their monitoring and logging principles. Any candidate who is master at using AWS services to secure the deployments using the best data protection techniques can take up this exam. You should be strong enough to analyze security vulnerabilities in the infrastructure of an organization and implement best practices to seal them. What else you should know about AWS Certification? Any AWS certification is valid for two years and to stay up to date with changes in technology and market, you need to get recertified once your certificate’s validity expires. The cost of recertification is $75 and the recertification exam spans 80 minutes. 64% of enterprises are preferring for AWS as their preferred platform and this will grow further in the near future. This just means that an AWS certification of any sort would help you to enjoy a secure and rewarding career with pay and perks at the industry best standards. So, why wait? Besant technologies are renowned for its expert training in AWS Certifications that will give you the confidence to crack the exam at the first shot. The institute has its branches in Chennai and Bangalore and is catering the training needs of thousands of students across many IT training domains. Looking for additional online help for AWS certification? Check out Gangboard! An amazing platform that lets you learn any IT skill with expert help virtually at your own pace. Besant Technologies AWS Training in Chennai Reviews have given by our students already completed the AWS Training in Chennai with us. Please give your feedback as well if you are a student. Students who were enrolled for this course most likely join in any of these courses additionally to enhance their profile in IT industry. Apart from Chennai Location we also provide AWS Classroom Training in Others Cities in India. Please Check the below links for more Details. We really applaud your desire to make up the lost lecture. So, you can attend the missed lecture in other batches. Absolutely, we search job opportunities as per your interests and you will be trained accordingly. Your trainers are experts who hold more than 10 years of experience. You need not worry about the concepts. They are specialized in presenting a complex concept in the easiest way. Our faculty holds more than 10 years of experience from the topmost MNC’s. We recruit them on the basis of their experience and teaching skills. What if I have queries after completion of the course? No, AWS Exam fees are not included in the course fee. You will receive AWS course completion certification from Besant Technologies. We provide both classroom and online training. You can choose the mode as per your comfort. Absolutely, we need you to have full satisfaction before joining our course. How about Group discounts and Corporate Training for our team? You can either pay by cash, debit card, credit card, bank transfer or bank deposit. What can I Do if I have still More Queries? best aws training in chennai aws authorized training partner in chennai aws certification training in chennai aws training institute in chennai aws training in chennai velachery aws devops training in chennai aws training and certification in chennai aws best training institute in chennai.